Located within walking distance to Colonial Williamsburg and History at its best with Tours, Boutique Style Shops & Bistros and Much More!!! 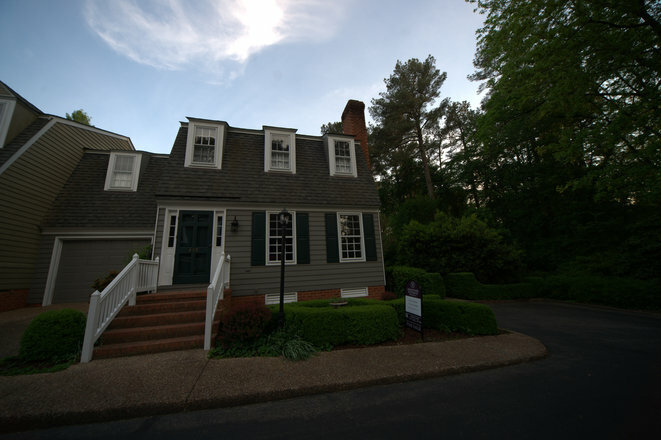 This charming Colonial Williamsburg Townhome, Custom Built in 1984 is seated as an End Unit to a Row of Prestigious High End and Ultra-Exquisite Townhomes on Tyler Street in a highly sought after area of Colonial Williamsburg. Homes in this area generally sell fast and for top dollar!!! This home is filled with Charm and has been one of many featured homes in the area Historical Home Tours. This Desirable End Unit features 2 Bedrooms/ 2.5 Bathrooms, Spacious Living Room and Dining Area with a Spacious Den tucked back off the Dining Room - Can be used as a Downstairs Bedroom. Cozy Kitchen with Pantry and All Stainless Steel Appliances. Plenty of Closets (3 Large Closets Downstairs not including the Pantry and Laundry Room Closet with Additional Storage Closet as well as Linen Closet in Master) - Plenty of Storage Space. Pull Down Attic Stair for a Large Clean, Floored Walk-in Attic, Attached Deep 1-Car Garage with Alcove for additional Storage, And Exterior Closet to hold trash bins and tools. Beautiful Pergola Covered and Freshly Painted Rear Deck overlooking a magnificent landscaped Garden. This home sold at full listing price. It was a pleasure to assist in the Selling of this unique and rare find in Colonial Williamsburg. The Shops, Antique Stores, Restaurants and Bistros and exciting -fun attractions keep patrons coming back for more. For more information on how you can become a part of Colonial History - Call Rebecca Keeney today for a consultation.